Where’s the Beef? Oh… there it is. | Food E.
Where’s the Beef? Oh… there it is. I’m a simple girl. It doesn’t take much to make me happy. A beautiful sunset. The wag of a puppy’s tail. Red soled Christian Louboutins filled with Cartier diamonds hand delivered to the front door of my mansion in the Irish countryside by a newly single Johnny Depp. Okay, that last one’s negotiable. I would accept Cillian Murphy, as well. But really and truly, I love simple, delicious food. 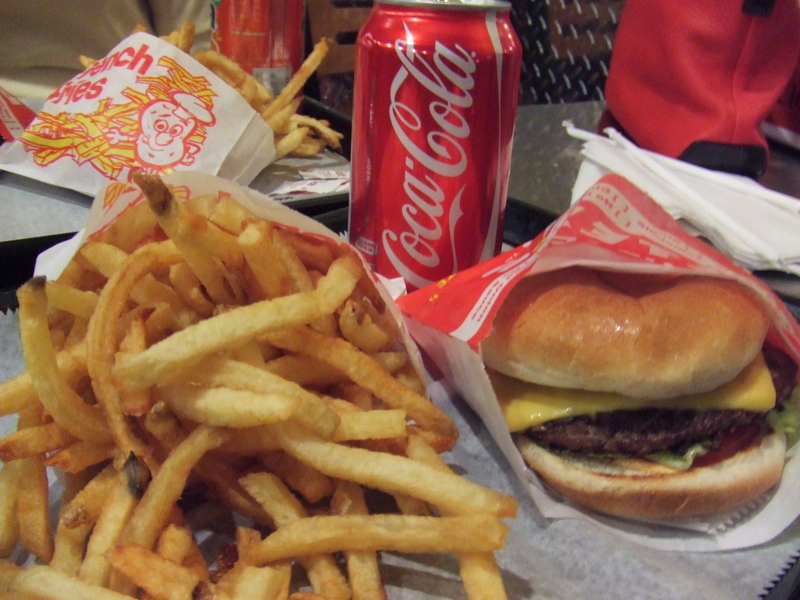 And what is simpler and more delicious than a burger and fries? Not much, my friends. Not much. My native-California friend Selina told me about a burger place in my Astoria neighborhood that supposedly rivals In-N-Out. Famished after a ballet class (yes, some dancers do eat), we trekked over to Petey’s Burger for deliciousness on a bun. Verdict: HELLO NEW FRIEND. These burgers are really… really… good. Really. As you can see in the picture, these are relatively thin beef patties topped with your standard tomato, onion, lettuce, ketchup, special sauce (which is probably mayo and ketchup mixed together), and cheese on a basic bun. I think the key is in the proportions, the stand-out flavor of the beef, and the crispy-crunchiness of the fresh lettuce and onion. 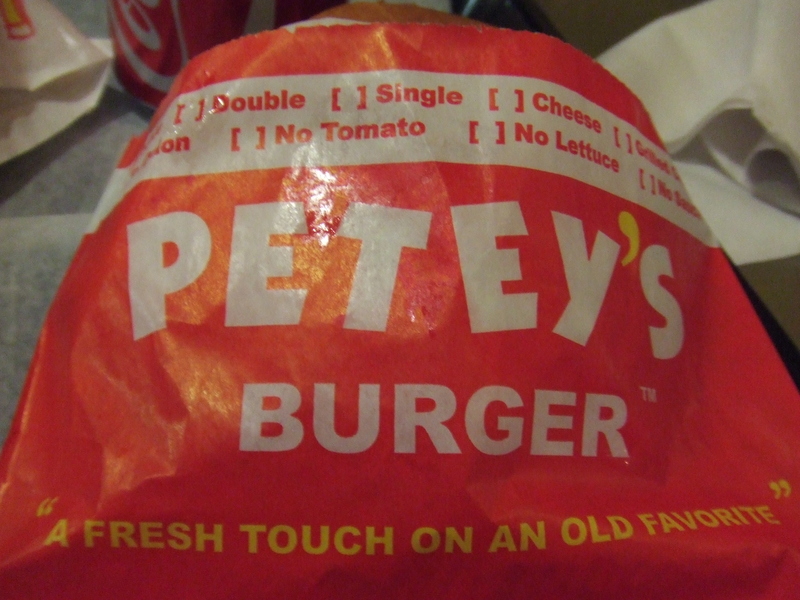 I also have to give Petey’s major props for essentially replicating McDonald’s perfect, golden French fries. The meal wasn’t super greasy but it definitely hit the “I need some junk food in my belly now” spot. Too bad they deliver. There goes my waistline.